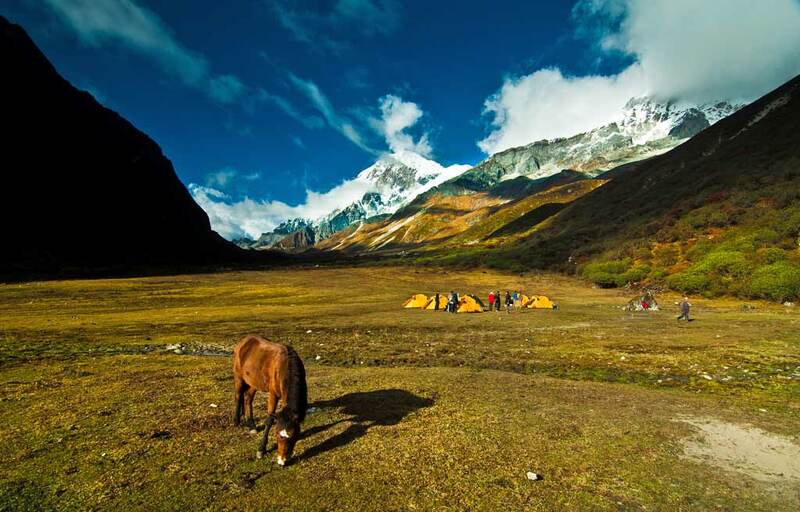 The Goechala Trek is one of the most adventurous and beautiful treks in Sikkim, taking you up close to the Eastern face of Mt. 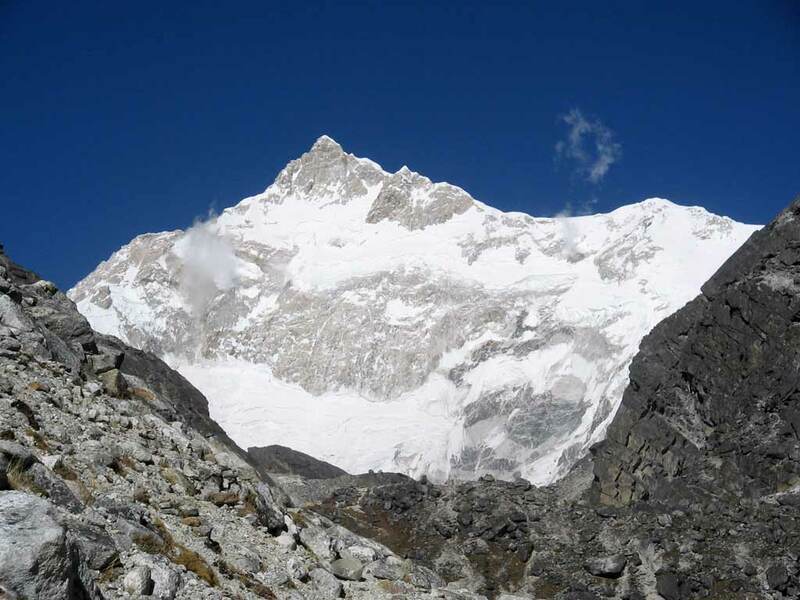 Kangchenjunga . 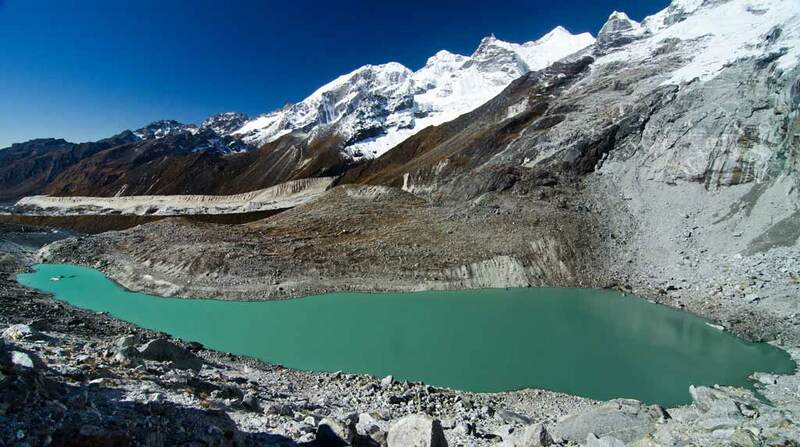 The route passes through some stunning emerald glacial lakes and offers grand views of Mt.Kangchenjunga, Mt.Pandim, Kabru, Simvo and Rathong glacier . The trail runs through moss-laden forests of oak, chestnut, pine, maple, magnolia and rhododendron. This amazingly diverse forest gives us an opportunity to enjoy many beautiful birds like the Redbilled Leothrix, Rufous-vented Yuhina, Fire-breasted Flowerpecker, Silver-eared Mesia and many more. Equally impressive is the variety of orchids which throng the tree barks. 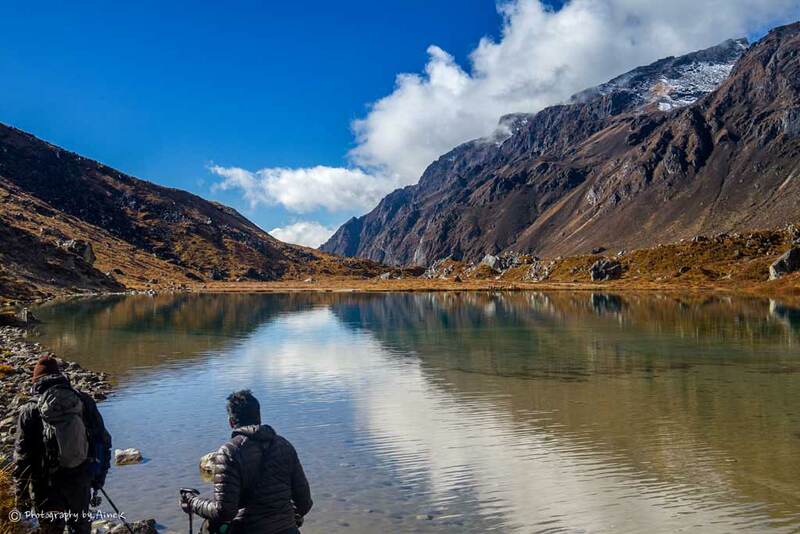 Go for an excursion to Lakshmi Pokhari and other glacial lakes around the area. Set off in the early morning (by around 3am) climbing the hill behind the Lake before traversing the moraine and then descending to the sandy bed of an empty lake. You cross the Zemathang plateau under the shadow of Pandim ascending to a height of about 4850 m .
The Goechala Pass is another hour away. You traverse the lake and proceed across a slope, and then on a well-trodden path to our objective, which is festooned with brightly coloured prayer flags. 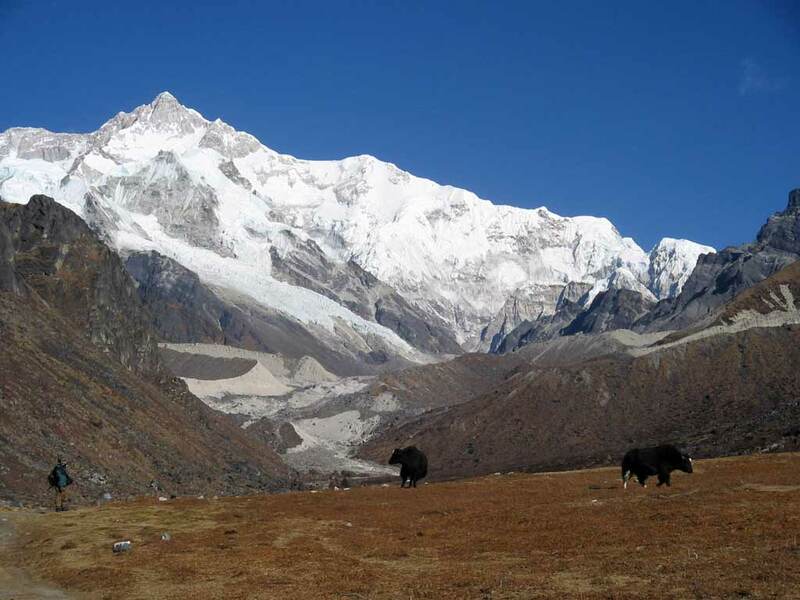 The views of the east flank of Khangchendzonga and the mountains and valleys in the distance are stunning. After breakfast drive to the quaint hill station of Kalimpong in Darjeeling Hills. 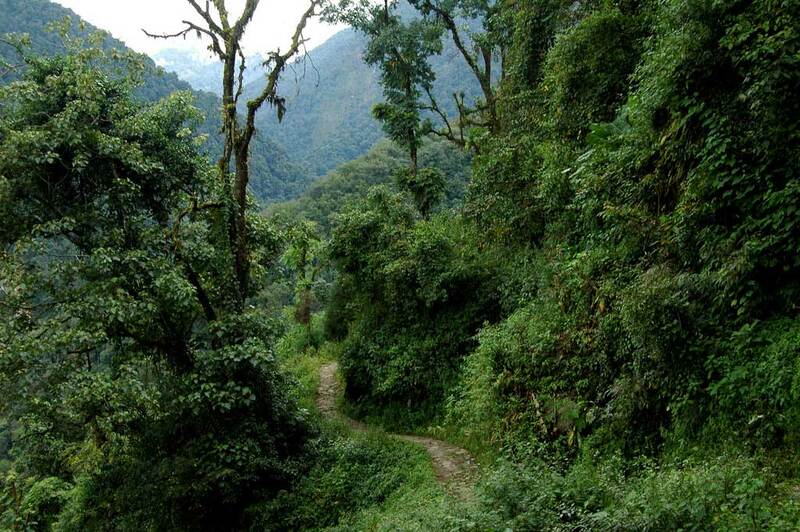 Kalimpong is known for its orchid nurseries, Buddhist monasteries and bustling markets.